85% of people who invest money in the stock market LOSE money. This naturally includes most of those who do not have stock market training. If you are willing to invest a little in stock market education, why don’t you join the TrulyRichClub for at least one month? If you want to join the TrulyRichClub, let Bo Sanchez tell you how. Stock Market investing need not be difficult and stressful. 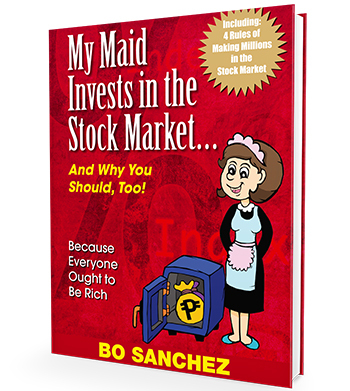 Bo Sanchez taught his household help how to invest in the stock market using a very easy, yet powerful investment strategy called the strategic averaging method. For new members, there are live tutorials: TRC Quickstart Implementation Seminar happening every 1st Sunday of the month at the Meeting Room, PICC, Pasay City. Membership for one month is only P497! Imagine all that material, including tutorial for only P497. If you want to join the TrulyRichClub, or learn about the 11 blessings you get as a member of the club, let’s let Bo Sanchez tell you. This entry was posted in Financial, Stock Market, Truly Rich and tagged Bo Sanchez, ColFinancial, My Maid Invests in the Stock Market, Stock Market, truly rich club on October 27, 2015 by Bobet Prudente. Today, I receive all of God’s love for me. Today, I open myself to God’s blessings, healing and miracles. Today, I open myself to God’s Word so that I become more like Jesus every day. Discover abundance and how to win in all areas of your life! Get 11 Incredible Blessings Including The Opportunity To Earn Passive Income Every Month! Bo Sanchez tells you how to discover abundance, change your financial life and get your 11 TrulyRichClub blessings, click here –> www.TrulyRichClub.com! 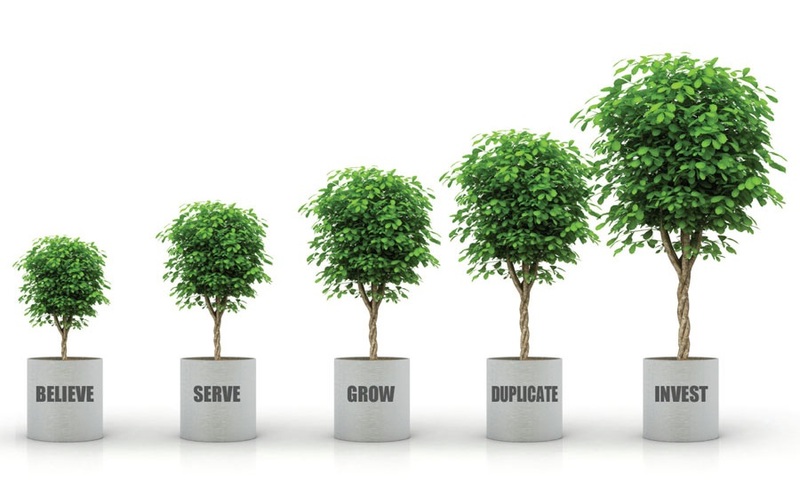 If you’d like to know more about the benefits of being a TrulyRichClub member, you can also attend a Quick Start Implementation seminar on Mondays. Register now! This entry was posted in Truly Rich and tagged Bo Sanchez, Feast Declaration of Abundance, Novena to God's Love, Quick Start Seminar on October 25, 2015 by Bobet Prudente. Why do people love Bo Sanchez? Because he’s just like you and me. He has a family, a wife and kids. He goes to mass, plays with his kids, and works everyday. And we love him for his gazillions of inspiring stories. Let me share with your this email I received some time ago, about Rowena’s investing experience a few years ago, when she doubled her money in two years. And this is an amazing underdog story. But I was totally ignorant about the Stock Market. So I just followed Brother Bo’s TrulyRichClub’s instructions each month, buying the stocks he recommended through his Stocks Update eReports. And in two years, from October 2010 to October 2012, my Dad and I put in a total of P102,000 only. 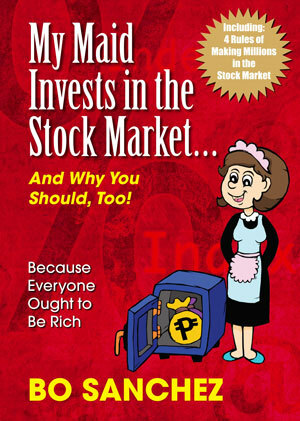 But it’s shocking for me to know that my Stock Market investment now stands at P193,325. That’s 89.53% increase in two years. Or an amazing 44.77% a year! Perhaps you’re someone who saves your money in big banks. If so, you’re earning LESS than 1% a year. To be exact, about 0.75% MINUS 20% withholding tax! It’s actually lunacy to keep your long-term investments in the bank. 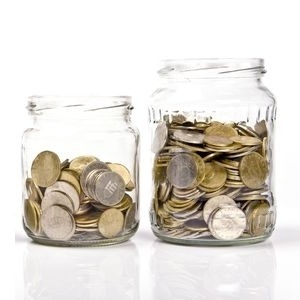 Yes, put your short-term money and emergency funds in the bank. But NEVER your long-term investments. NOTE: Just to tell you how insane 44.77% is, I read the returns of the best and brightest, most sophisticated Mutual Fund Managers of BIG COMPANIES in 2011. The highest achieved was only 8.18% growth; A second mutual fund company got 8.17%; a third mutual fund company got 2.66%; and a fourth mutual fund company got 2.39% for the year. But Rowena Mallari-who doesn’t know anything about the Stock Market except what she got from my Stocks Update eReports-got 44.77% growth. Crazy but true. Rowena doubled her money in 2 years! Of course nobody can guarantee you can double YOUR money in 2 years, but if you invest consistently, in time you will be a millionaire! Do You Want To Be A Multimillionaire? Warning: I’m not promising that Rowena will also get 44% next year or the year after. The Stock Market doesn’t work that way. It’s always like a rollercoaster ride. But here’s my point for telling you this underdog story: You can be like Rowena and become a multimillionaire in 20 years. How? Like Rowena, join the TrulyRichClub and use my Stocks Update eReports that will guide you how to invest in the Stock Market. This entry was posted in Bo Sanchez, Free eBook, Stock Market, Truly Rich and tagged Stock Market, truly rich club on October 2, 2015 by Bobet Prudente.